Our in-home services answer many of the challenges our society faces when a loved one isn’t able to care for themselves as they once did. 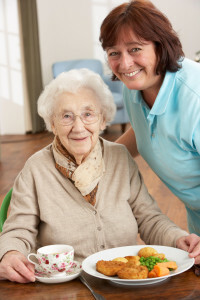 We provide a free, no obligation in-home visit prior to the placement of our caregivers. This meeting is to discuss your loved one’s in-home care needs and how our services or referral of community resources can meet those needs. We want to make sure that an appropriate personality match is made for a smooth transition and an understanding of expectations of everyone involved. This relationship between caregiver and client is monitored regularly to assure continued satisfaction. During our visits, activities are observed and caregivers submit paperwork on a weekly basis to update medical professionals and loved ones of changes. We attract more experienced and professional caregivers that are happier and sincerely interested in their clients. 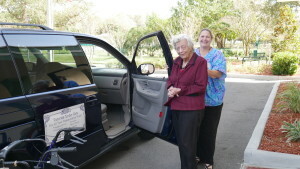 All caregiver’s references and backgrounds have been thoroughly checked to assure good moral character and stability. All caregivers are required to pass a Level II nationwide background check before being hired or placed in a position per state requirements. Job Seekers Click Here, Qualified Applicants Only Please.